Pennsylvania Wills & Estates Lawyers | Lisa Marie Vari & Associates, P.C. A Pennsylvania Will is a document that determines where your assets will go upon your death. It is a legal document with much importance, as a Pennsylvania Testator (or the person drafting the will) gets to make these decisions based on his/her preferences and determine which family members, children, or others will receive assets or property from his/her estate upon death. In the event that a person dies and does not have a Will, their property passes by Pennsylvania Intestacy Laws, which takes away the Testator’s ability to specifically designate which family members/others receive certain assets or property. The shares and property of the decedent’s estate pass according to a formula designated by the PA intestacy laws.Contacting our Pittsburgh Wills Attorneys to draft your Will allows you to avoid intestacy and ensure that the people of your choosing are accounted for when you are no longer around. Our Allegheny County Wills Lawyers can also determine which type of Will is best for your estate – depending on the amount of the assets in your estate and the complexity of your wishes. What are the requirements for a Will in Pennsylvania? Often called a Pennsylvania Last Will and Testament, a testator of a Will must be at least eighteen (18) years old and of “sound mind,” or be aware of what they are doing when making a Will. A Will in Pennsylvania must be signed at its end, or in some circumstances, can be signed by another person at the Testator’s direction and in his/her presence, and must be in writing to be valid. 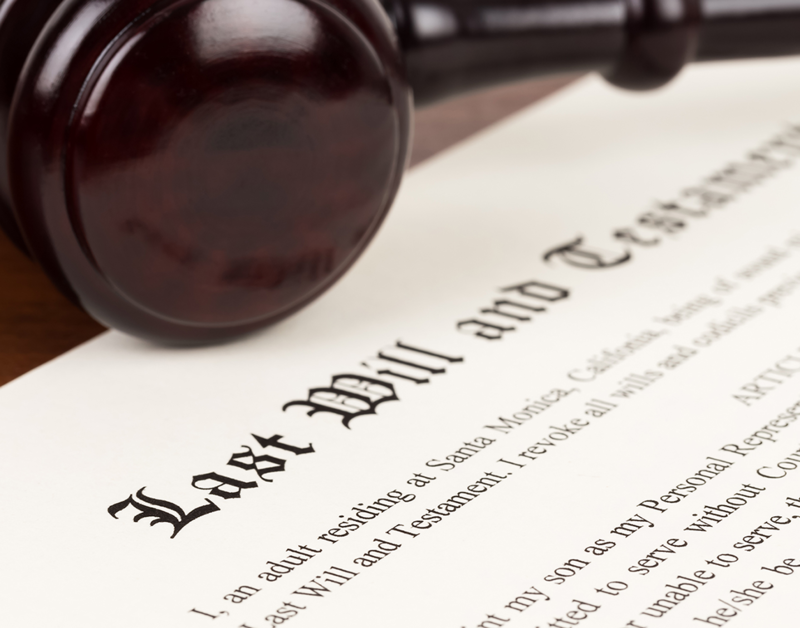 In Pennsylvania, it is not a requirement that a Will be witnessed, however, some county’s Registers of Wills require two witnesses to appear in person at the time of probate, or when the will is being administered after the testator’s death. What is a “beneficiary” of a Pennsylvania Will? “Beneficiaries” of a Pennsylvania Will include those persons who are receiving assets or property under a valid Pennsylvania Will that are chosen by the Testator. A beneficiary in Pennsylvania can be an individual or a charitable organization. What is the purpose of a Pennsylvania Will? Our Allegheny County Estate Lawyers draft Wills for our clients for many reasons. The primary reason a Pennsylvania Wills Attorney will draft a Will is so that the testator’s property is distributed upon his/her death meeting the specific requests of the Testator. Drafting a Will in Pennsylvania allows an individual to avoid their estate passing by intestacy, which is the way the estate would pass under Pennsylvania law if the decedent did not have a valid Will. If property passes by intestacy laws, shares of the decedent’s estate passes to individuals designated by Pennsylvania law, which may not be the individuals that the decedent intended to pass property to upon his or her death. Pennsylvania Wills can also address other issues, such as nominating a Pennsylvania Guardian for your children, or naming a person of your choosing, or an Executor, to be in charge of administering your estate. What happens to a Will after divorce in Pennsylvania? Many of our Allegheny County Divorce clients need assistance with drafting a new Will upon the finalization of their divorce. This is because in Pennsylvania, when a divorce is finalized, any provisions in a Testator’s Will giving property to a person’s spouse become ineffective (unless language in the Will is clear that the devise shall survive divorce). Therefore, provisions in your Will providing property to your spouse may need to be re-written, and you may need a new Will drafted after your divorce is finalized to ensure that your property will be distributed according to your particular wishes. Our Allegheny County Wills lawyers at Lisa Marie Vari & Associates can assist you in drafting a Will if you have never had one before, need to change your current Will, or would like to execute a new Will post-divorce. Our attorneys will draft a Will according to your specifications, ensuring that your final Will reflects all of your personal wishes as to the distribution of your estate, and can draft a Will tailored to the size and amount of your estate. Our Pittsburgh Wills Attorneys can also draft other important legal documents on your behalf, such as a Pennsylvania Power of Attorney or a Living Will. Email our Pennsylvania Wills Attorneys if you are interested in setting up a consultation to discuss drafting or changing a Will. You can also telephone our Pittsburgh office at 412-281-9906, our Cranberry Township office at 724-776-9906, our Southpointe office at 724-436-5500, our Clearfield Office at 814-290-0587 or toll free at 1-844-VARI-LAW to schedule an appointment to speak with one of our experienced Western PA & Pittsburgh family law lawyers. Consultations may also be available at other meeting locations if special arrangements are made in advance with our office. Ask the secretary scheduling your appointment for details including appointment locations. Once you have a valid Will in your possession drafted by our attorneys, you can rest assured that all of your family members, close relatives, and dearest friends are provided for and will receive a share of your estate, and that your Will accurately reflects exactly how you want your estate to be divided.